Hidden Lakes has been ranked by USA Today as one of the best nine-hole courses in the U.S. This championship course is situatuated inside the gates of the beautiful, newly renovated, Tan-Tar-A Resort, Golf Club, Marina and Indoor Waterpark. The course features lush zoysia fairways and large bentgrass greens This course is a great place to spend the afternoon with your spouse or kids. Come and enjoy the best-kept secret at the Lake of the Ozarks. You won't be disappointed! 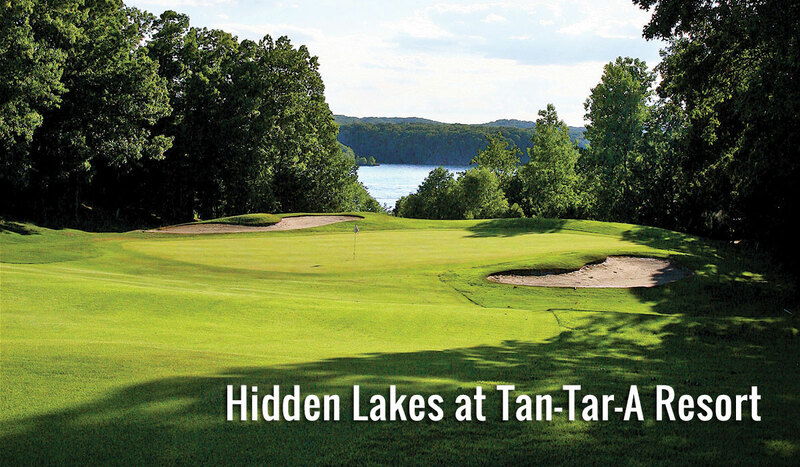 Hidden Lakes is open seasonally mid-April through mid-October. Tee times are preferred and can be reserved 60 days in advance. Walk-ons are always welcome. Golf packages are available. Golf carts are now allowed off cart paths! Location Hidden Lakes is approximately two miles off Hwy. 54 on State Rd. KK, just inside the main entrance to Tan-Tar-A.